The 16th annual Whistler Film Festival, set in British Columbia's popular winter resort, has drawn to a close after five days packed with multiple screenings of 65 films, a full house of filmmaker labs and pitch sessions, parties and power skiing. Whistler may not be Canada's biggest or highest profile international film festival, but its quaint mountain town setting makes it one of the country's most enjoyable venues for local or visiting movie lovers and for meetings between filmmakers and industry honchos. The ambience is casual, intimate and proactive. Whistler is frequently compared to Sundance in its early stages, before the onset of hullabaloo. The 2016 program balanced big buzz Hollywood flicks such as “La La Land,” “Lion” and “Miss Sloane,” with wonderful English language and French Canadian productions, including narratives, documentaries and shorts. What's important to note is the Whistler Film Festival's consistent emphasis on Canadian content. This year, 65 percent of the films were Canadian productions, the largest percentage of any international film festival in Canada, according to Paul Gratton, Whistler's programmer for the past six years. No less important to the festival is the industry's progress towards greater opportunity for, and recognition of, excellent work by women filmmakers, a theme clearly articulated on the first day of the festival, when Carolle Brabant, Executive Director of Telfilm Canada, announced the funding agency's goal of reaching gender equity in public financing by the year 2020. Parity for women is a cause that's fully embraced and underscored by festival founder and director Shauna Hardy Mishaw, who has established ongoing partnerships with female focused organizations that train, mentor and promote women directors and producers. "Whistler Film Festival is committed to putting propulsion behind the works of female filmmakers—getting films made, distributed and widely seen. Development and promotion of women in film is a primary goal. Movies influence the way people see the world and behave in it. We feel it is essential for women's perspectives to shine from the screen," said Mishaw. Women In The Director's Chair (WIDC), a highly successful mentoring program headed by Carol Whiteman, conducts intensive filmmaker labs at Whistler Film Festival each year. Now in its 20th year, WIDC can boast that many of the female-directed projects that have gone through the program later premiered at the festival. The festival's Women on Top Breakfast, set atop Whistler Mountain, was a feminist film feast. The restaurant was packed with powerful women who networked and made deals. Attendees listened to Canada Media Fund president and CEO Valerie Creighton deliver a stirring keynote covering current stats and strategies for reaching parity by 2020. There was also a presentation of WIDC's Feature Film Award (totalling Canadian $190K in cash and services), as given to Canadian Korean filmmaker Gloria Ui Young Kim for production of her first feature film, about a young Korean mother and her daughter as they struggle to bond with each other in the face of daunting adversities. This year, femme-helmed films scored big in awards. Topping the list of winners, Canadian first-time filmmaker Chloe Leriche's “Before the Streets” garnered Borsos Awards (named for Canadian director Philip Borsos) for Best Canadian Feature, Best Director, Honorable Mention for Performance (Rykko Bellemare) and the Alliance of Women Film Journalist's EDA Award for Best Female-Directed Narrative Feature. The film, the first feature shot in the Atikamekw language (a dialect of Algonquin Cree), is the moving story of Shawnouk, a young First Nations man who banishes himself into exile after committing a horrible crime during a routine break-in at one of the local summer homes. Tied for the Best Documentary Feature award were two female-directed films, Katie Bennie Bender's “The Will to Fly” and Fern Levitt's “Sled Dogs." The former is about the freestyle skiing feats of Olympic gold medalist, Lydia Lassila, while the latter exposes egregious treatment of sled dogs in Whistler and elsewhere. The documentary “Mr. Zaritsky on TV,” co-directed by Jennifer Di Cresce and Michael Savoie received an honorable mention from the Borsos jury. “The Will to Fly” also won the Best Mountain Culture Film Award; “Sled Dogs,” which stirred considerable debate in Whistler, also won the Alliance of Women Film Journalists EDA Award for Best Female-Directed Documentary. Additionally, the festival presents Variety's "10 Screenwriters to Watch." This year, Steven Gaydos lead a thoroughly engaging panel discussion with five of the writers: Pamela Ribon (“Moana”), Jojo Moyes (“Me Before You”), Luke Davies (“Lion”), Todd Komarnicki (“Sully”) and Jonas Cuaron (“Desierto”). Of the 2016 program, Gratton notes, "I was very pleased that this year's selection of feature films directed by women playing at the Whistler Film Festival had risen‎ from 11 last year to 15 this year. It is a long way from the gender equality that we would all like to see in the marketplace, but it is a measurable step in the right direction. Not only that, but the quality of the female-directed films seems to be improving as well." 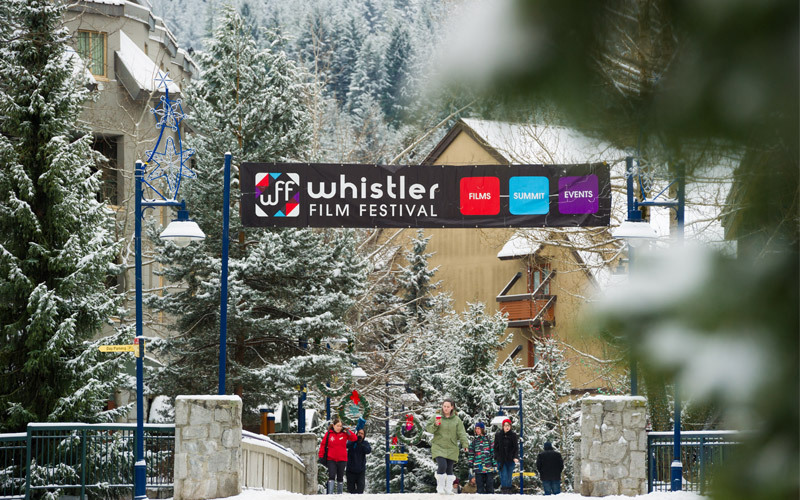 The 2016 Whistler Film Festival ran from November 30 through December 4. For more information on the fest, click here.